Butter two 6” flour tortillas. Place one tortilla on the Toas-Tite® Pie Iron, butter side out. 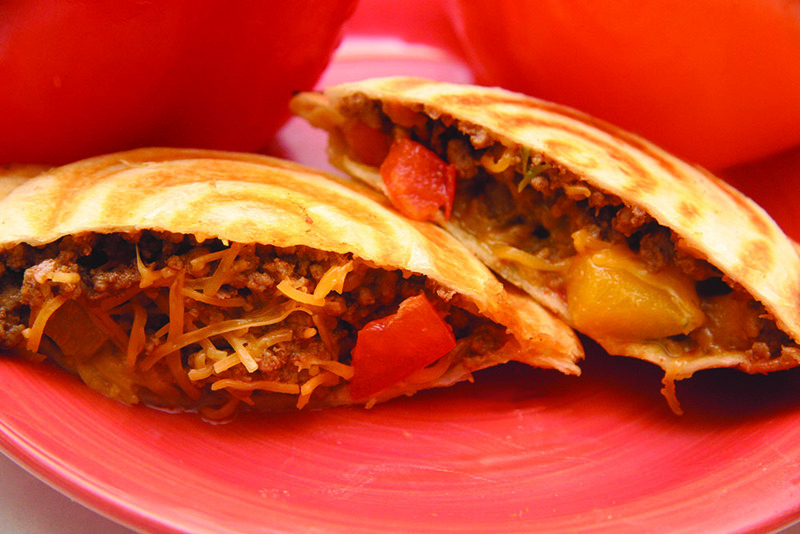 Layer with cooked seasoned ground beef, chopped tomatoes, onions and shredded Mexican cheese. Top with the second tortilla, butter side out. 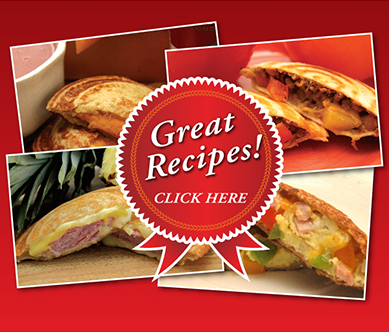 Close the Toas-Tite® Pie Iron and pull away excess tortilla. 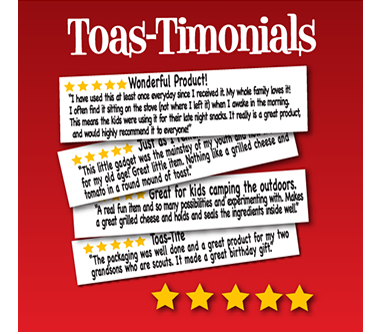 Toast for about 1½ minutes on each side. Be sure to include salsa, sour cream + guacamole on the side for dipping. ¡Muy delicioso!